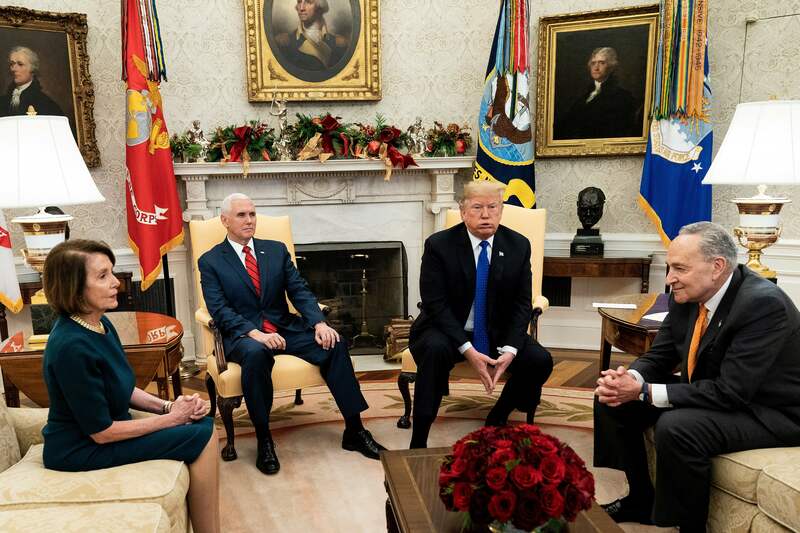 National Border Patrol Council President Brandon Judd previewed President Donald Trump’s imminent national address to the nation from the Oval Office in an exclusive interview Tuesday with The Daily Caller. Trump will “lay out the argument on why the wall is necessary, he’s going to try to work with Congress, and if he can’t get the funds he’s going to think outside the box and do what he needs to do to secure the American public,” Judd told TheDC. Judd added that he eventually believes Trump will declare a state of emergency at the U.S.-Mexico border to use military funds and build the border wall. “I don’t think the Democrats are going to give in to the 5.7 billion dollars, I think what the president is going to do is he’s going to declare a state of emergency which will then allow him to use Department of Defense funds in order to build the wall,” Judd explained. The NBPC president spoke in staunch support of a border wall and the Trump administration’s proposal to end an ongoing partial government shutdown. Trump is demanding $5.7 billion for a steel barrier along with $800 dollars in humanitarian assistance and increases in the number of border patrol agents. The Trump administration maintains that a humanitarian crisis is playing out on the southern border as thousands of Central American migrants make their way to the U.S., often in family units, with the hopes of securing asylum. Judd noted that the wall is the preferred solution of border patrol agents relaying that surveys were done of agents in the Laredo, Texas and Tuscon, Arizona sectors showing 89 percent of respondents supporting a wall. Judd explained that 96 percent of agents in those sectors along the border responded, noting the extraordinary support for a barrier.